Cooking courses in Switzerland are unique - each a guaranteed attractive and exclusive arrangement of the highest niveau. Famous chefs in top hotels will guide you through the secrets of Swiss cuisine. The best known hotels of their class provide a setting for our courses that does justice to even the highest of expectations. Each course offers its own set of morning cultural and culinary excursions, with the day's cooking lessons built around each excursion. 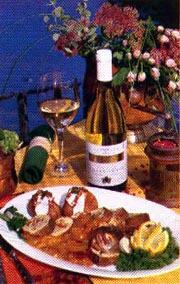 Typical kitchen specialities will vary with the different regions of Switzerland. Guests are assisted by experienced travel guides and world class chefs. The following cooking classes are currently scheduled. Call or email for complete itineraries, dates and prices. Up to 5 Days of "hands on" Gourmet Cooking with your resident Chef. Learn how to prepare Antipasti, Pasta, Main Courses and Desserts from the local area. Limosine transfers between Rome and Positano . Liesurely, afternoon tours to Amalfi, Atrani-Revello-Scala, Pompeii, Furore, Capri, and Sorrento are available. All tours feature deluxe transportation and are escorted by knowledgeable, local experts (i.e. archaeological university experts at Pompeii, etc). This program offers an exceptionally memorable experience in cooking in a magnificent setting. Many of the delectable specialites which have made Italian dining a gastronomical delight are offered here. All classes are taught in English. The course will include several of the more famous Campania recipes, and also unique presentation of delectable specialties not usually known outside Italy. Seasonal produce will be available to create delicious dishes of the Campania Region cuisine. Positano is unique. The town melts into the cliffs facing the Mediterranean. There is no better place to enjoy a leisurely vacation while learning how to cook and eat what you have prepared. 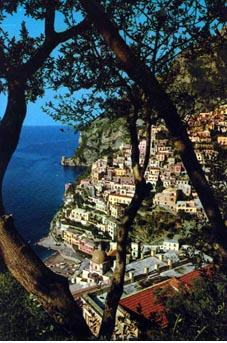 Positano is in the heart of the Amalfi Drive and incredibly different from what you have ever experienced. Additional free time may be arranged to enjoy the many historical and enchanting places in this scenic corner of Italy. Call for pricing and complete details.